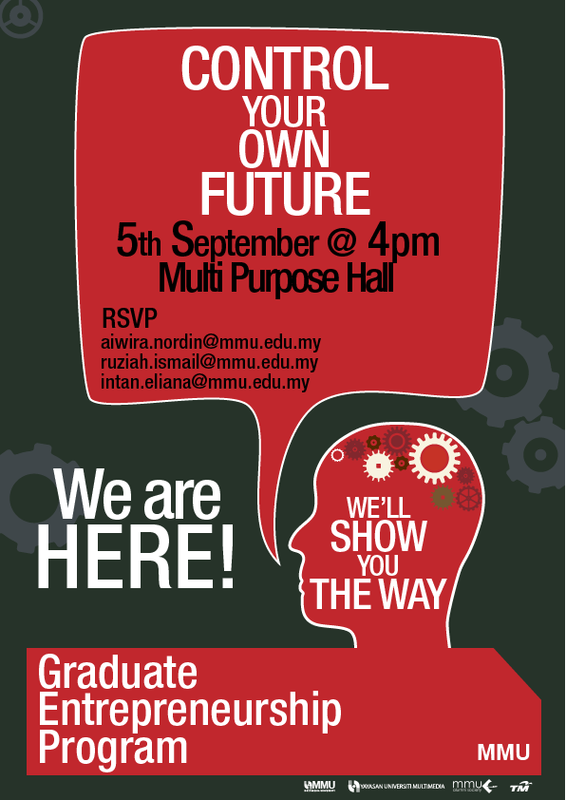 The Graduate Entrepreneurship Program will be held on this coming 5th September 2012 ( Wednesday ) at 4PM. 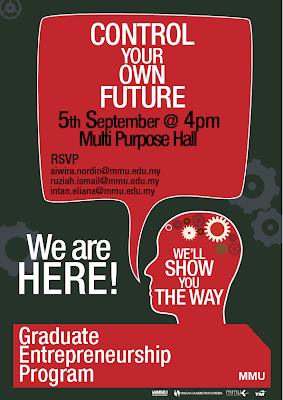 The location is in Multi Purpose Hall, MMU Cyberjaya. You may now begin to book for reservation. Please contact the following emails for more details.